"After 15-year-old Joshua Blackbird posts a performance of an original song on YouTube, he becomes an overnight sensation, catapulting to the dizzying heights of celebrity. Joshua is plucked from his middle-of-nowhere small town to pursue a pop star career complete with million-dollar record deals, international tours with sold-out crowds, and a diehard following who call themselves "Birdies." But it's not long before the never-blinking eye of fame begins weighing this bird down--the constant hunger of managers, record execs, paparazzi, even family, all leeching onto him. Then there is the staged romance with a teen pop princess and the unsettling fear brought on by a stalker. Everyone reaching out, determined to grab their piece of stardom, forgetting that an actual person--a kid nonetheless--is on the other side their grasp. It's all too much. 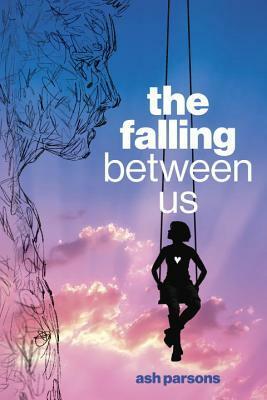 Narrated from the perspective of Joshua's girlfriend from home, Roxie, The Falling Between Us presents every wannabe teen heartthrob's dream come true . . . only to realize it is a nightmare. " I was sent this book by the publisher. My ratings and reviews will be my own personal opinions and are in no way influenced by publishers or authors who may have sent me books to review. I have not heard anyone talking about this book. Before agreeing to review this, I looked it up on Goodreads. The first thing I saw was this was the perfect read for the Justin Bieber era (which is not me). Do not let that stop you from picking this up though. I read the premise and still wanted to give this a try as it sounded like something I would enjoy. As I started reading, I was thinking this was going to be your typical YA Rockstar romance. I was wrong and in the best kind of way. This is a story about fame, social media, love, loss, and so much more. There is also a little mystery thrown in to make it stand out even more. There was just something about the writing and the story that was memorizing. I cannot really explain it. I just loved the direction this was taking as you learn more about Joshua through the eyes of his best friend/girlfriend Roxie. You not only learn about Joshua and his breakthrough into the entertainment world, but about their childhood and his path to and after fame. My heart really broke as I read about their story and the demons we all hide from the outside world. The mystery is much different than I thought it was going to be. You actually do not have a mystery around what happened at first, but more of why it happened. I wish the second half of the book focused more on the mystery. I lost interest once it started to follow Tyler, the brother of Joshua. It does all come together in the end though. I got really excited once the mystery started back up again. I would give the first half of this story 5 stars. The middle half started to take a direction I did not enjoy as much, but it was still good. I read this in one sitting and is perfect if you are looking for a quick read. It is very fast paced and just under 300 pages. I would have liked a little more at the end and wanted more of Roxie and Joshua. Overall, I ended up enjoying this more than I thought I would. I definitely recommend it as I do think it brings something different to the YA world. I will be picking up the other book by the author soon!